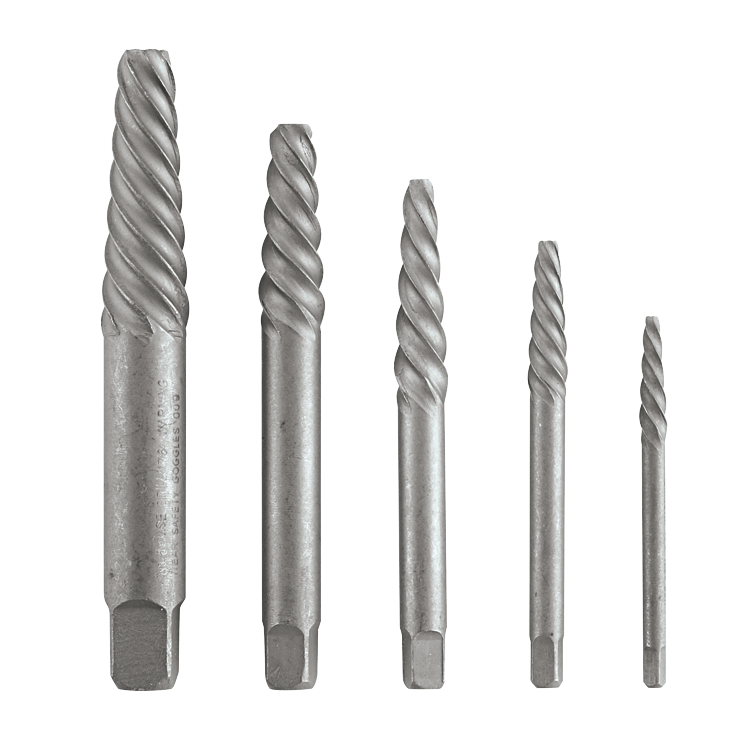 Bosch Spiral Screw Extractor Sets feature extractors that are ideal for removing stripped screws, bolts and other fasteners. The left-hand flutes grip the metal firmly. Spiral flutes are used to remove stripped screws from harder materials (straight flutes are for removing stripped screws from softer material). Made from heat-treated carbon steel, they are rust- and tarnish-resistant tools. The rolled threads are more accurate and cleaner than machined threads. They are tooled to the most exacting specifications. Laser-etched marking ensures size identification and won't wear off. They feature a precise flute design to ensure the flutes grip firmly.